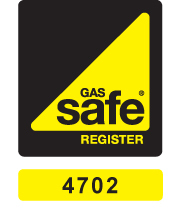 More about Gas Safe Register. We are Accredited Installers for Worcester Bosch Group which enables us to offer our customers a ‘5 Year Parts and Labour Warranty' on every boiler at no extra cost. Our engineers regular attend the Worcester Bosch Group training academy to ensure we are kept up to date with the latest products and services. 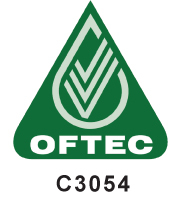 For the oil industry in England and Wales, OFTEC registered technicians are the only people defined as ‘competent' and able to self-certify their work without the need for informing the local building control department. The MCS is an EN45011 certification scheme which complies with the government criteria for eligibility to access financial incentives. It is focussed on ensuring the quality of renewable technology installations and products. It is important that customers ensure that both their installation company and the products they are installing are approved by MCS. This will ensure the quality of the product and installation and the eligibility for the government financial incentives. Rayburn Guild - Authorised Engineer. The Rayburn Guild offers Rayburn customers a nationwide network of authorised dealers and independent engineers committed to providing a first class installation and after-sales service. The Guild is a nationwide network of sub-contract engineers carrying out warranty, service and commissioning work on Rayburn Gas, Oil and Solid Fuel appliances.